Dance, dance, dance! Award-winning C89.5 has been Seattle’s Home for Dance for over 45 years. C89.5 is also an educational organization, training hundreds of students in media production every year. Owned by Seattle Public Schools, C89.5 is operated by professional staff and students of Nathan Hale High School’s electronic media course, who gain experience in production, programming, on-air presentation, and music selection. Some of our radio shows are hosted by alumni and community volunteers. C89.5 serves over 200,000 weekly listeners in the Puget Sound region. 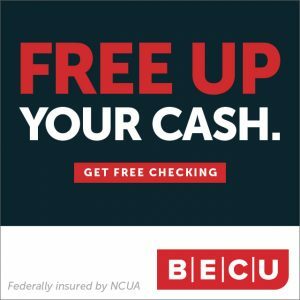 The station is almost entirely self-funded: 78% of operating revenue comes from listener donations and local business support. Our website, C895.org, has a diverse, global audience. 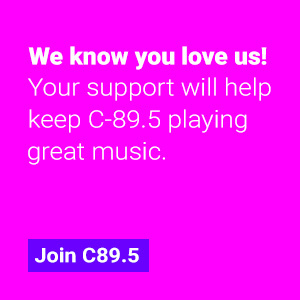 C89.5 is a world-wide leader in dance music, monitored by Neilsen and by MediaBase, and one of eight stations tracked for the Billboard Dance chart. C89.5 has won numerous awards and is recognized as an influential radio station on the cutting-edge of music as well as a premier high school broadcast facility. We were recently listed in Billboard’s Top 40 of Top 40, a huge honor and testament to our staff and student’s hard work and dedication to C89.5 Worldwide. In June 1970, an application was filed with the FCC to establish an FM signal on 89.5 MHz. After construction and test broadcasts were complete, a 10 watt license was granted on 01 Feb 1971. Through the 1970’s and 80’s, the station increased its broadcast area. In the 1990’s KNHC renovated its studio and production facilities, began a student training program, launched its first website, and in 1997 began operating a digital music stream from its studios. In 2003, The Village Voice recognized KNHC as “Best of New York” high school radio stations thanks to its internet streaming, and the next year became the first non-commercial station in the United States to join the Billboard Magazine Dance Radio Airplay panel. In 2009, KNHC moved into its new studio at Nathan Hale High School. In 2015, KNHC received it a Community Service Grant from the Corporation For Public Broadcasting, underscoring the value of our services to the community. Our required Audited Financial Statement and Local Content and Services Report are here. Since then, the station has continued to improve its transmission, its website, and its digital services—and to play the best dance music on the planet!